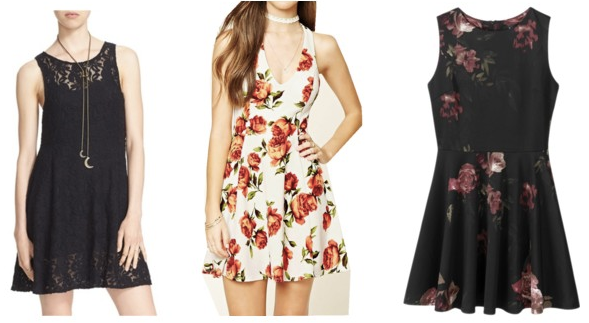 Another reason I feel like blogging has made me not wear dresses as much is because dresses can be a bit harder to remix within the same season, which means there tends to be a longer time in between wears. When there is longer time between wears, that means the dress is most likely sold out by the second time I'm even able to wear it again. 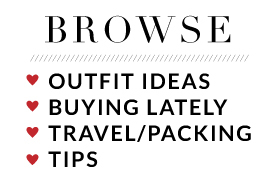 That's not really convenient for blogging when people are interested in shopping your looks! All of that said, the show must go on. I do still wear dresses, and even if this handful I have rounded up for you today are no longer available, I figured I would explain why they have had such longevity in my closet. That's definitely really important about a dress for me. It needs to last season after season, year after year. Ok, let's get started! Vest: Two by Vince Camuto | Necklace: Bauble Bar | Halter Dress: Express | Booties: Vince Camuto "Katleen"
First up is this printed chiffon halter dress I got from Express earlier this year. If you recall, I wore this in Vegas. 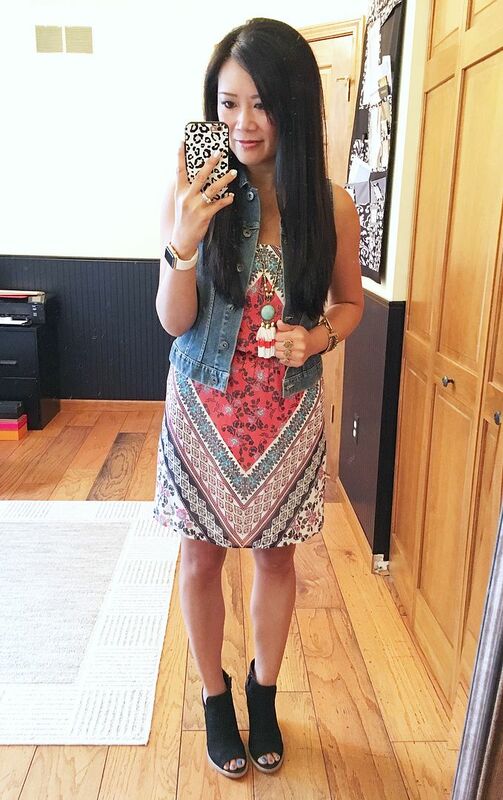 On this day, I felt like going a bit 90's style with the denim vest and then adding in some peep toe booties. I love that the vest conceals the fact that this is a halter making it ok for me to wear to the office. Thankfully, my office is pretty casual, but while I can go sleeveless, I'm not comfortable going full on halter mode! I did end up tucking in the halter ties of the dress so that it just looks strapless. The halter neckline looked odd with the vest. Anyway, the reason why I love this dress is because the print is so fun, the chiffon makes it way comfy for hot temps, and it's the perfect pairing with the denim vest or a denim jacket for an instant touch of boho. I love this dress but the last time I wore it was 2.5 years ago! It was a little snug back then, but luckily I was able to hide it with a cardigan. I'm glad I held onto it because it fits perfectly now. To say that I'm a big fan of Bailey 44 dresses would be an understatement. 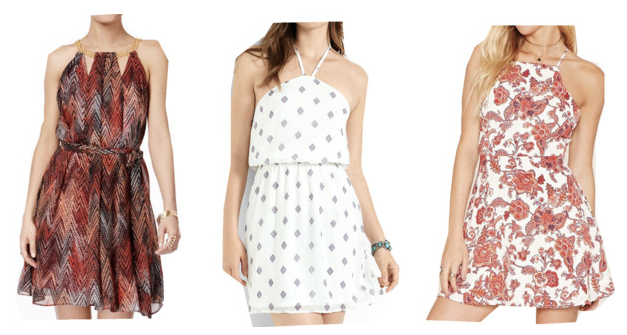 I have a ton of Bailey 44 dresses, and frankly, I would be ok surviving on ONLY my Bailey 44 dresses. (You can peruse my old Bailey 44 posts here.) They're just so freaking comfortable. The designs are always so interesting, and they seem to fit me like a glove. If you've never tried any, I highly suggest you start with one of the column dresses like this. It will change your life. I promise. 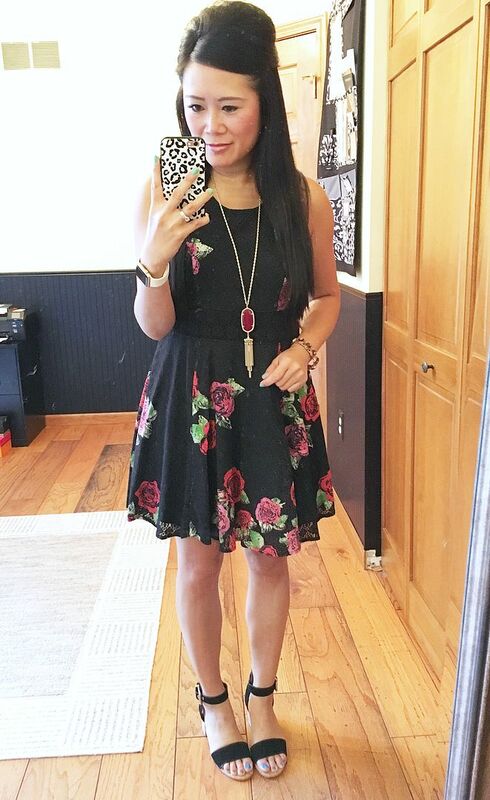 This dress first appeared on the blog on June 17, 2013 when I was taking super awkward photos in front of my front door. *shivers* So awkward, but it's nice to have documentation of how long I've had it! That's a long time! And it's still consistently one of the dresses I reach for most! It's been on the blog a few times. I winterized it in this post here, and I also wore it to a Justin Timberlake concert in this post here. So why is this one a winner for me? The floral print is bold but not too cutesy. The fit and flare is incredibly easy. The fabric never wrinkles. The shape makes me feel pretty even if I'm not quite feeling inspired that day! 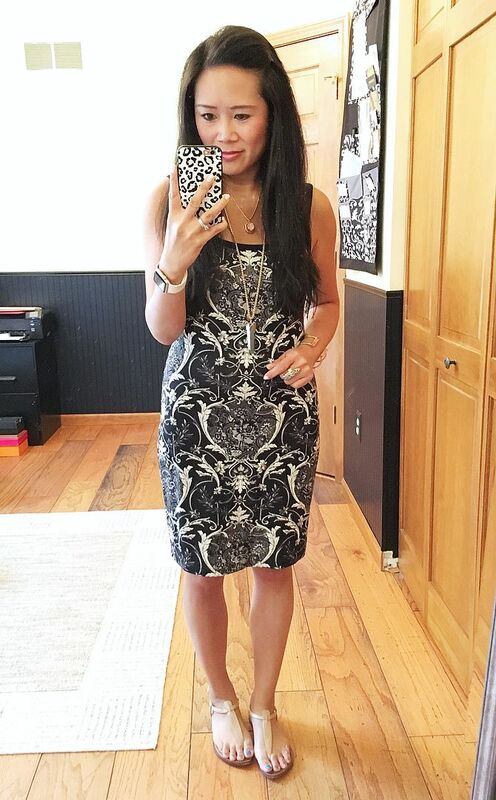 Necklace: House of Harlow | Dress: DVF | Heels: Vince Camuto "Carlotte"
Ahhh, nothing beats a DVF jersey dress. Nothing, I tell ya! I used to have a little collection of her wrap dresses. I ended up selling them because I didn't wear them a whole lot. My office isn't fancy, like I said earlier, and there really wasn't much of a reason to have them. They needed a home where they would be loved and worn to death. This tie waist shift, however, I love. It's doesn't feel as super business casual as her wraps can make me feel. It's also less fussy, I don't have to worry about wearing a cami under it for modesty. And the extra tie at the waist cinches everything in making it a perfect fit. 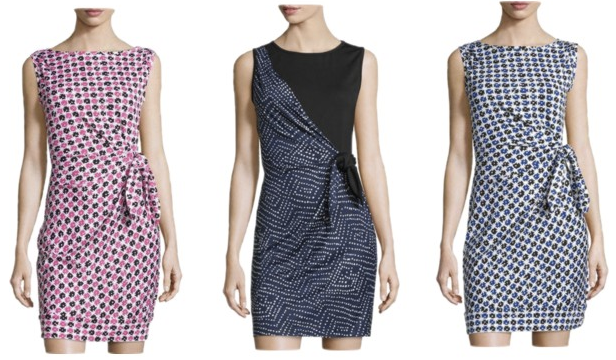 DVF isn't cheap, so I always love to stalk discount sites like Rue La La, Gilt, Bluefly, 6pm, Saks Off 5th, or Last Call so I don't have to pay full retail price. Regardless, they are worth the extra money. 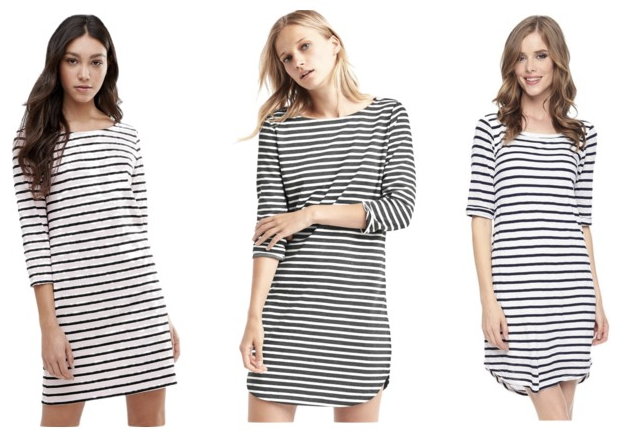 And last but not least is the striped dress. 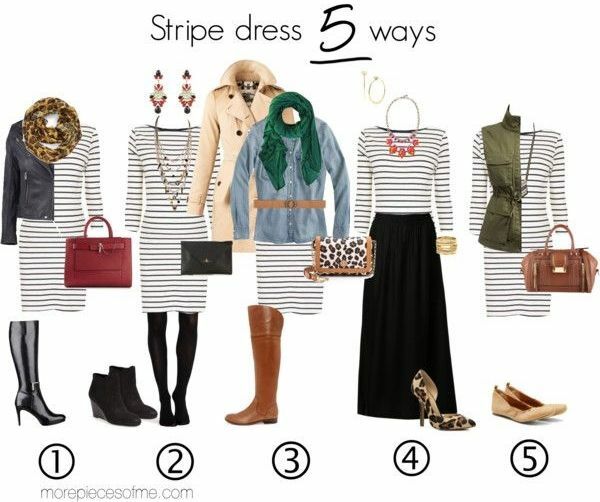 I definitely could not live without a striped dress (or seven) in my closet. That's why I was sure to include one in my Remix Fix 2015 challenge. It's such a great canvas to build an outfit from. I remixed this particular dress on Instagram in this post here. Any dress you can layer over it OR under it is extra valuable! I love the floral sleeve detail on this, but honestly, if you're going to start from scratch, just grab yourself a basic stripe. The stripes add an interesting background, and you'll find that it doesn't take much to accessorize or spruce it up into a complete look! I found this old collage I did a couple of years ago, and the styling is still relevant to today! That was a pretty hefty post, totally on accident. 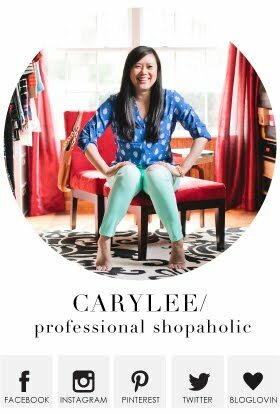 I really didn't think it would be this involved, but I wanted to explain my logic and then also share some good options for you to shop even if my exact dresses are super old and no longer available. Hopefully you were able to see dresses in a whole different light! Maybe you have a few in your own closet that you can breathe new life in! Have a great rest of the week! All such great pieces! 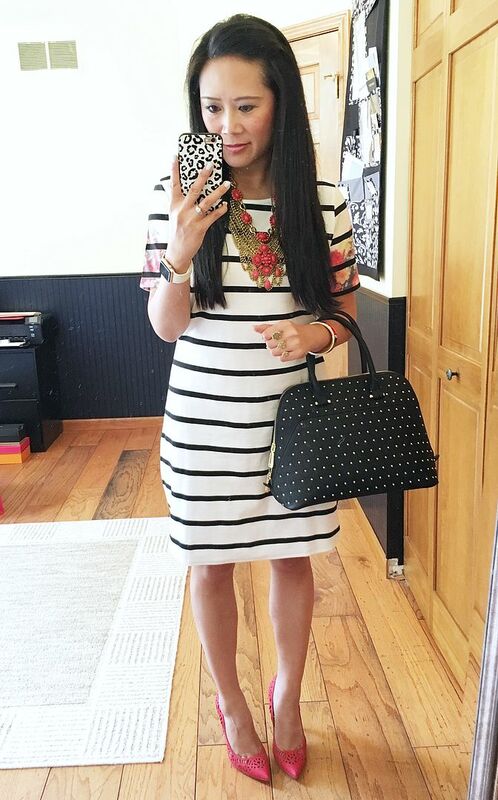 Dresses are the best for work, so easy to wear. 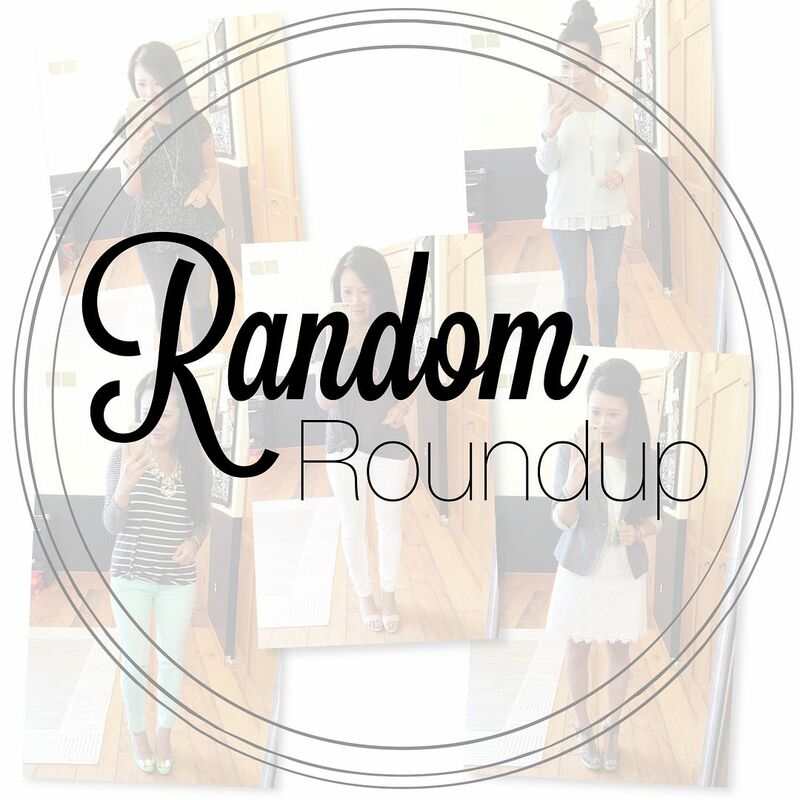 This was a great post and very helpful for someone who is new to dresses. :) I also thought it was interesting to read why you slowed your roll on buying/wearing dresses due to blogging, especially more so now that I've just experienced the same thing myself. And I really liked seeing which dresses have stood the test of time for you.